We are located in the Appalachian Mountains of the Eastern United States, a region well known for its prime, slow-growing hardwoods. These hardwoods produce beautiful, consistent grain patterns that help to enhance color and promote durability. These grain patterns have emerged from a land of rich heritage and tradition. They are testimony to a proud way of life that celebrates a culture of freedom, grit, and strong work ethic. We dedicate ourselves to creating of the highest quality hardwood flooring in the world. Our founders knew the combination of precision milling, advanced kiln-drying techniques, and the most demanding inspectors available would result in products unmatched in the marketplace. Flooring is the stage on which life unfolds. It’s about their lives, their families, and their moments. We are simply stewards of the natural beauty that surrounds us and work to craft products that bring real beauty and joy to homes and dwelling places. When people put our products into their homes, they strengthen their connection with nature and with their own sense of self. We proudly affirm our commitment to time-honored values that have guided us since the beginning. Authenticity, heritage, sustainability, artistry—pillars that will continue to guide us into the future. These are the values that our customers and partners can count on us to deliver now and in the future, without compromise. 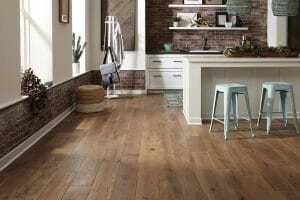 We are very excited to launch two new additions to our engineered flooring line. Visit our booth – 921 at the show to see the new additions as well as our 1500+ heritage inspired, artistic hardwood flooring products for yourself.